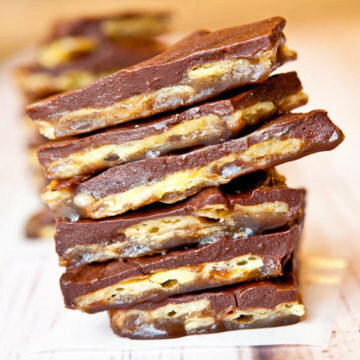 Successfully saved Chocolate Saltine Toffee (aka Christmas Crack) to your Calendar. You can also save the ingredients to your Grocery List. They don’t call this stuff ‘Christmas Crack’ for nothing. It’s easy to make, extremely addictive, and combines a salty, sweet, crunchy, and chewy into a holiday favorite.